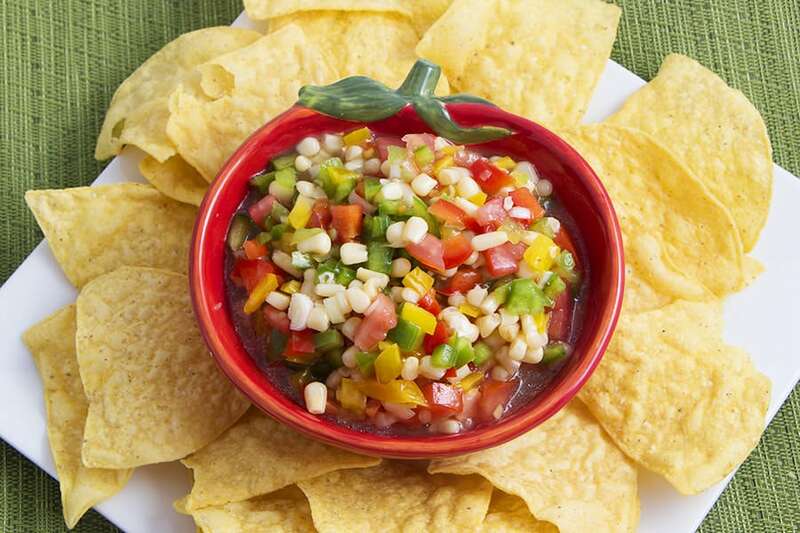 Zesty Fresh Salsa is full of summer vegetables. Even this picture gets me excited for summer with the warm weather, the trees and flowers, and tasty BBQs! 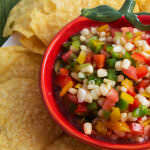 This salsa is a twist on a recipe from a friend and I just love it. These addicting flavors will burst in your mouth and keep everyone coming back for more. I guarantee you that with every “thumbs-up” you get, you’ll just simply smile because you won’t dare tell them how quick and simple it was to make. Get started by washing all your vegetables. Take the time to rinse away the dust, dirt, and chemicals. I’m always amazed at what comes off of fresh produce. 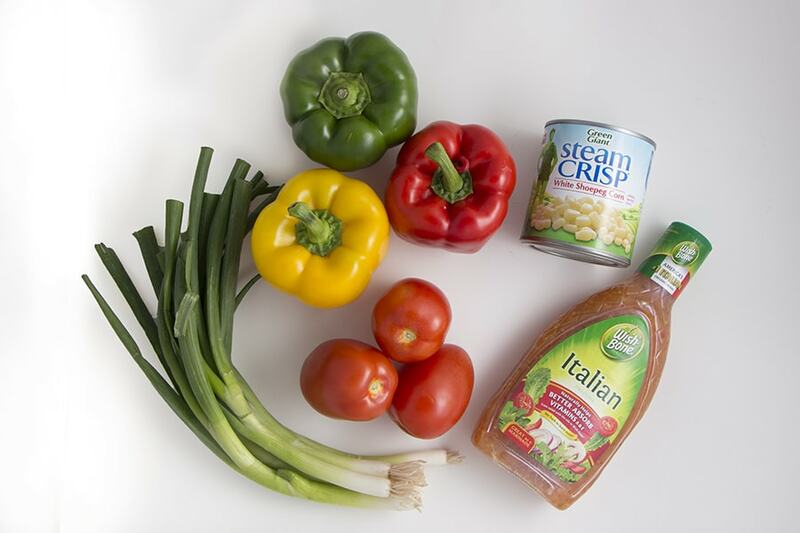 Chop and dice your vegetables and place them in a mixing bowl, then add the Italian Dressing. 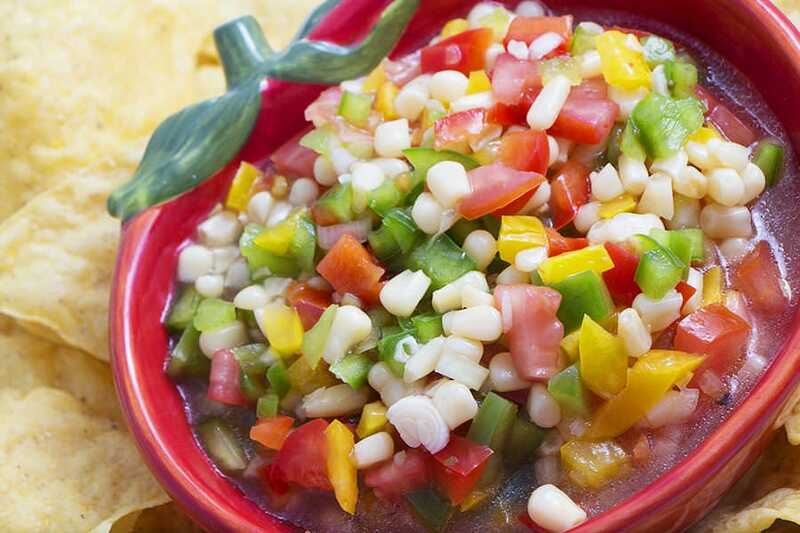 Serve this Zesty Fresh Salsa with your favorite tortilla chips. 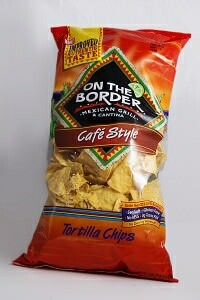 My favorite are On The Border Cafe Style Chips. 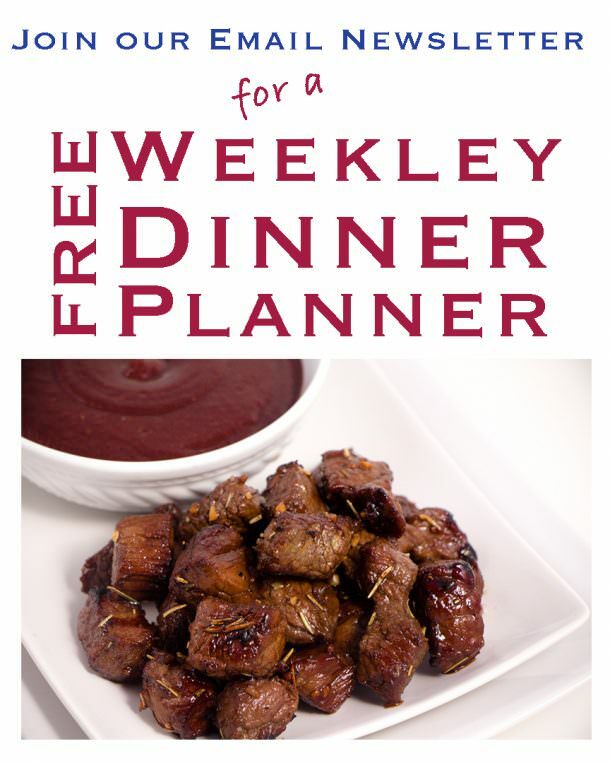 * Recipe adapted from Chantel W.
Chopped and dice bell peppers and place in a mixing bowl. Dice green onions, cilantro, and tomatoes and place into bowl with peppers. Rinse corn and place in bowl with other vegetables. Cut lime in half and place it in the microwave for 15 seconds. This allows the lime to soften and it's easier to squeeze the juice from it. Squeeze lime juice into mixing bowl and toss to coat. 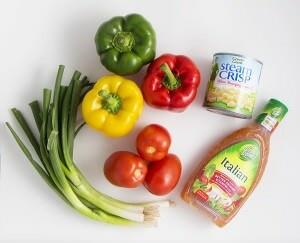 Mix ingredients together and pour Italian Dressing over. Mix together and serve with tortilla Chips.